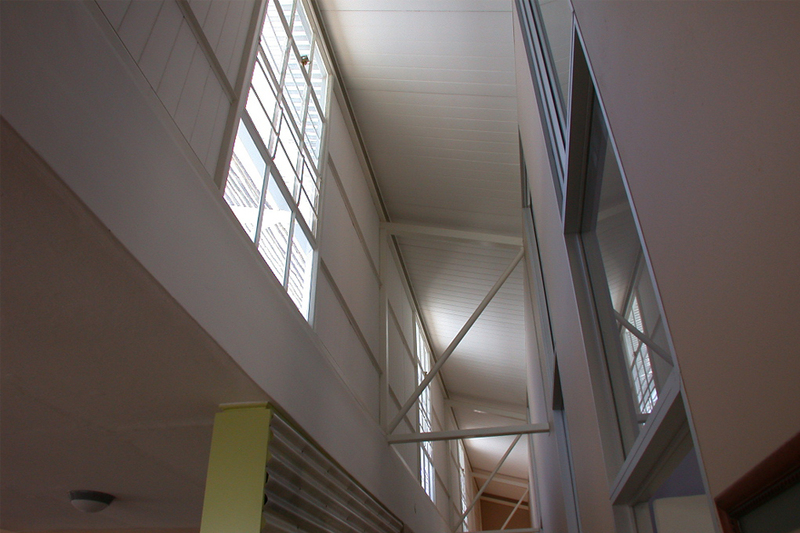 Two wings, orthogonal to the Main Street on the west, house doctors’ consulting rooms in the south wing and administration spaces in the north wing, separated by small courtyards interspersed with service spaces. 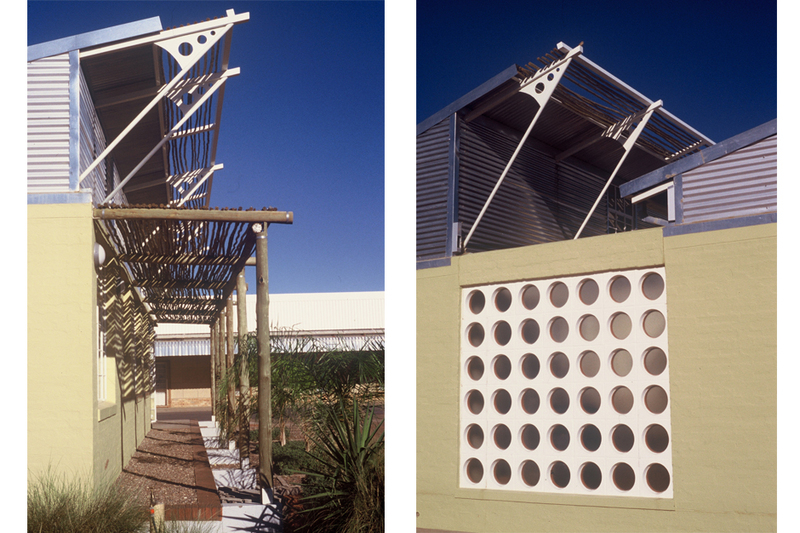 The corner entrance is recessed behind a veranda shading the pedestrian ramp on the street side, with a generous lobby/ waiting area watching the street life behind a perforated façade panel. 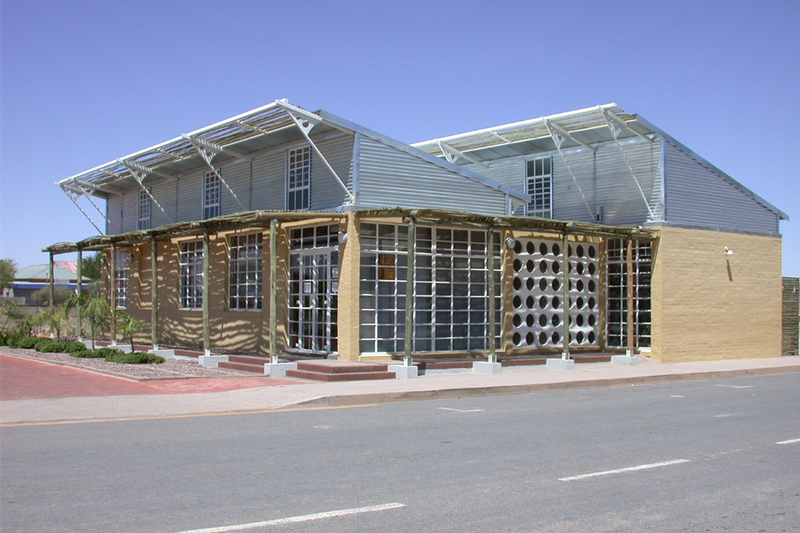 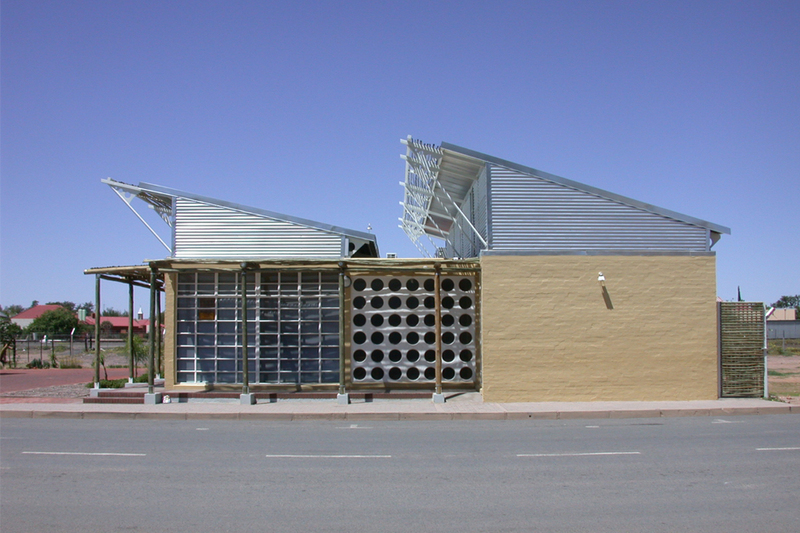 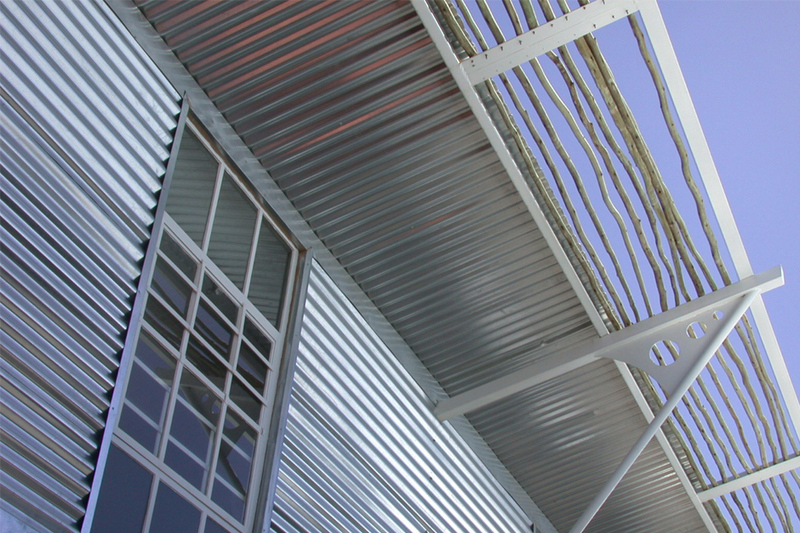 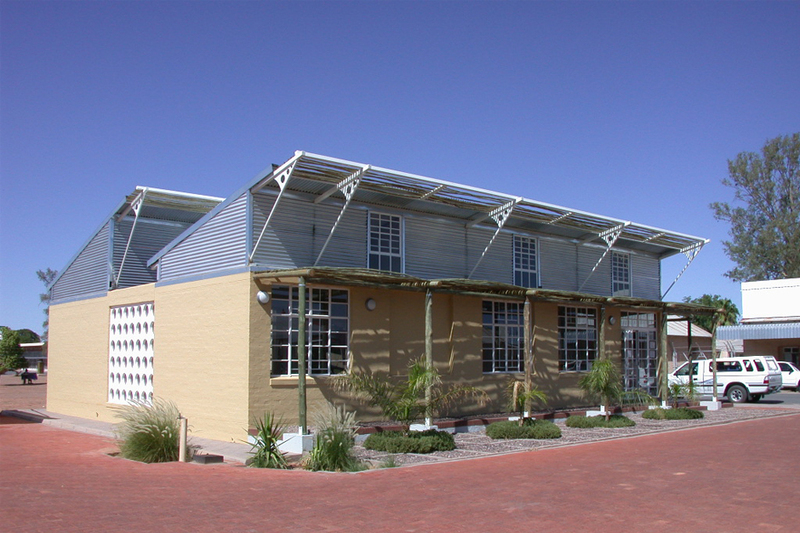 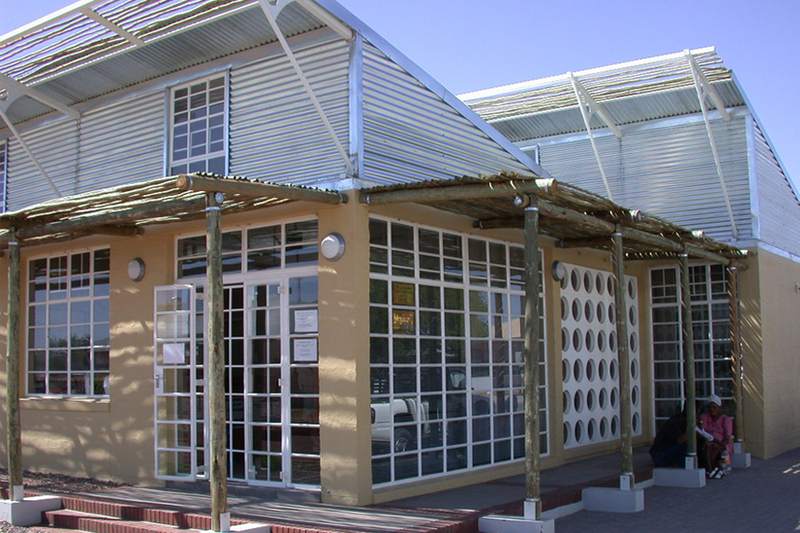 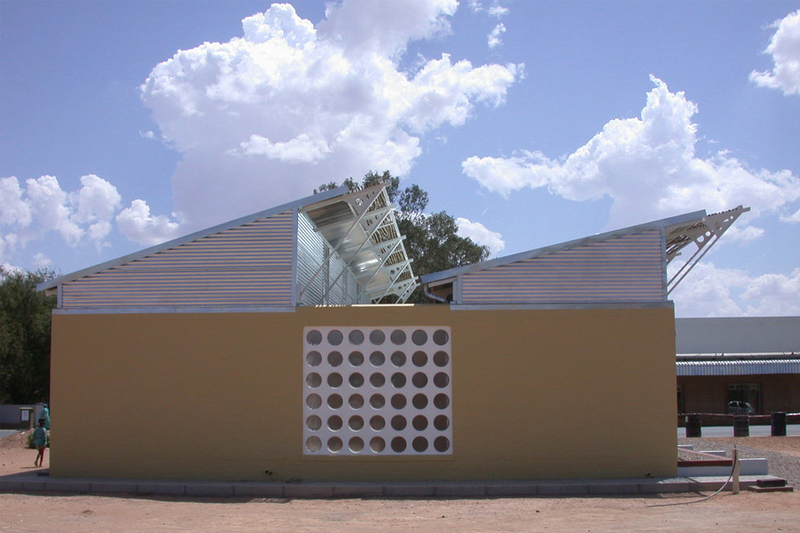 Clerestory windows allow in daylight and low level winter sun while ensuring patient privacy and the sheet-metal panelled roof echoes the agro-industrial context of Mariental. 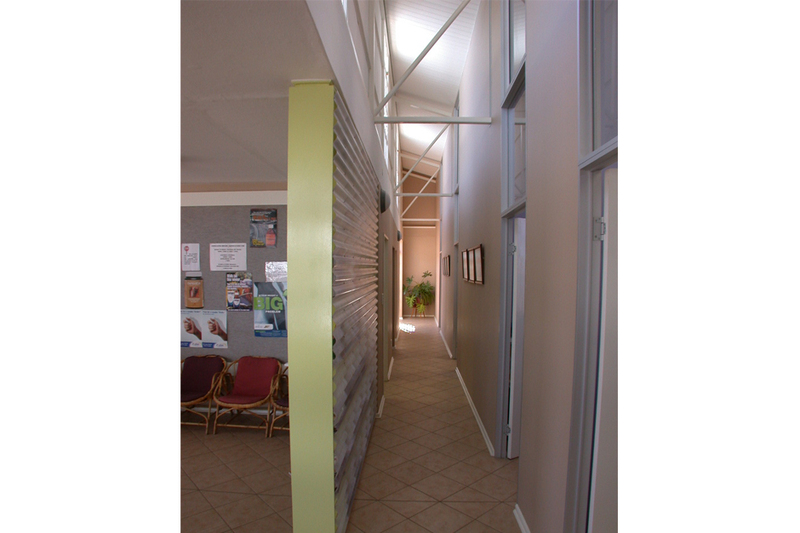 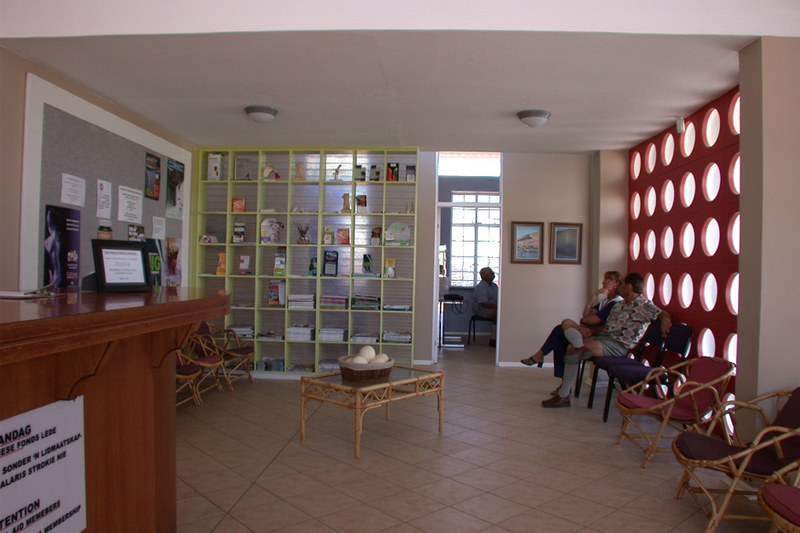 Strong colour accents (white, dark red, lime green) against the muted ochre walls and silver sheet metal, emphasise that this is a family practice for a small community.